This Personalised Cat Nappa by Creature Clothes is the ultimate in cat cushion chic. 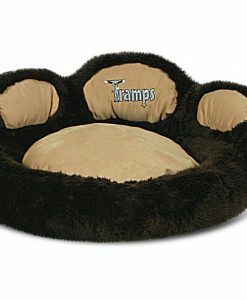 What more could you cat ask for than a bed with their name on! 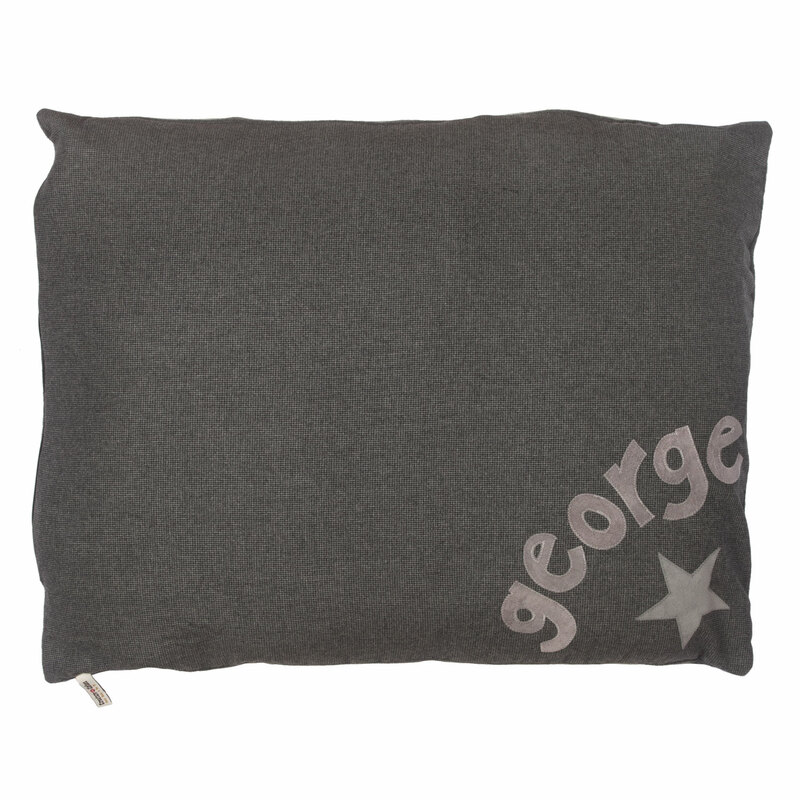 Available in many different colour combinations. Please choose you desired colours from the menu above. If you would like to design your own colour combination, please send us an email to sales@chelseacats.co.uk and we’ll see what we can do! 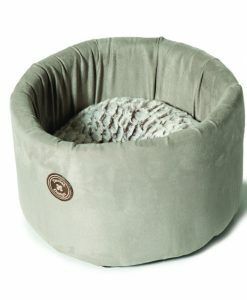 PLEASE NOTE: THESE CAT BEDS WILL BE MADE IN A SIMILAR STYLE TO THE MEOW CAT NAPPAS. 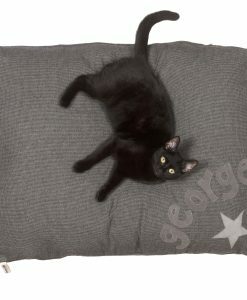 The covers are removable and are fully machine washable, as are the insides which are made up of 2 x separate spiral fibre super-squidgy duvets that can also be machine washed, even tumble dried, and are guaranteed not to go lumpy when washed. Each individual piece of the Union Flag is sewn on, one by one, creating a delicious multi layered effect. 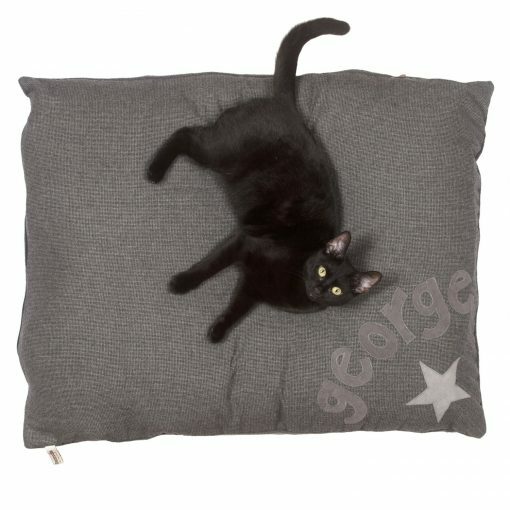 The cat nappa cat bed covers open and close with a zip, and can even be personalised to feature your cats name. 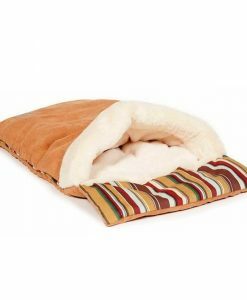 All of Creature Clothes Cat Nappas have a fleecy underside to keep the warmth in, and to give them the bonus feature of being double sided. 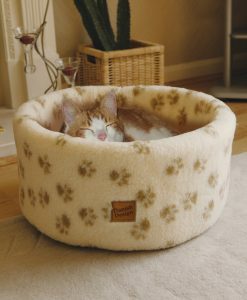 You can wash the bed all in one go, just the cover if it’s a bit dirty, wash the inners if they’ve got a bit stinky – or even wash them one at a time so your cat always has a bed. 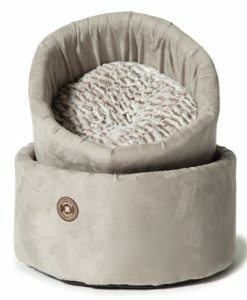 These are amazingly versatile luxury cat beds – stylish, elegant, cool and very very functional. 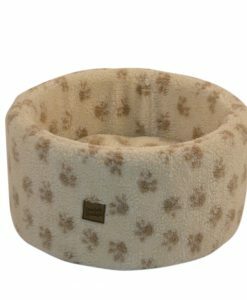 And what’s more, they are designed and hand made right here in the UK. 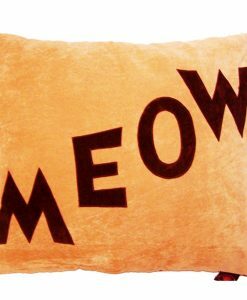 Purrrrrrfect! 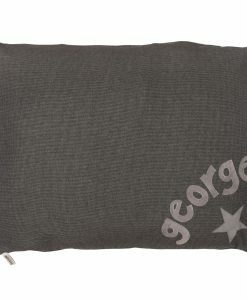 Made to order so please allow up to 21 working days for delivery. Handmade in the UK by Creature Clothes.